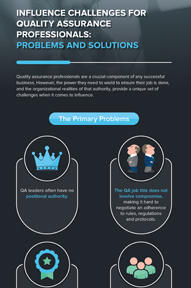 Quality assurance professionals are a crucial component of any successful business. However, the power needed to ensure a job done right provide is challenged by a lack of influence. To be a leader you must possess a wide range of skills. Whether it is strong communication or impressive management tactics, these types of attributes play a major role in the successes and failures of your company. 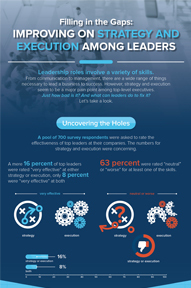 Strategy and execution are two of the most coveted skills for any leader and it turns out that they are in short supply. In this day and age the workplace is made up of a wide spectrum of workers. Whether your office is a new startup or an old and seasoned corporation, chances are you have some mix of Baby Boomers, Gen Xers and Millennials working under the same roof. Making sure these different employees build business relationships is crucial to your company's survival. Company leaders should leverage their influence in order to help form connections between workers. This task involves finding some common ground between the generations. 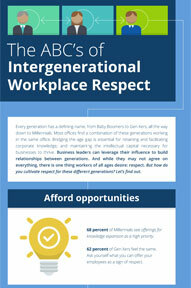 Turns out, there is one thing workers of all ages desire: respect. 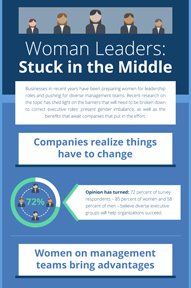 Businesses in recent years have been preparing women for leadership roles and pushing for diverse management teams. Recent research on the topic has shed light on the barriers that will need to be broken down to correct executive roles' present gender imbalance, as well as the benefits that await companies that put in the effort. When differences of opinion inevitably come up in the workplace, should leaders be worried? Or are these issues valuable for revealing the truth about the company's inner workings? 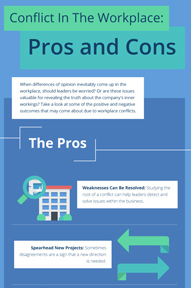 Take a look at some of the positive and negative outcomes that may come about due to workplace conflicts. Emotional IQ: What is it? Intelligence is a prized attribute for any staff member or team leader, but there are many different types of Knowledge. 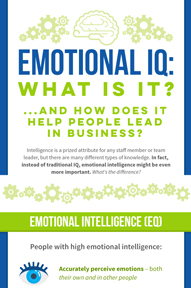 In fact, instead of traditional IQ, emotional intelligence might be even more important. What's the difference? Stakeholders may either support or resist a project, idea, or initiative, depending on what they have to gain or lose. Even if it is in the best interest of the organization, some stakeholders may resist because it is against their own interest or because they have a different perception of the situation. It is one thing to actually identify potential supporters and resistors, but then how do you get their attention and build that tower of support you need in order to be successful? 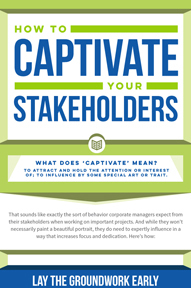 Use influence to implement these seven strategies to “captivate” and build relationships with stakeholders. 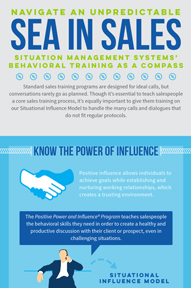 The key to sales today is the ability to build strong relationships and this is not always easy without offering sales training that goes beyond the basics of negotiating and selling strategies. It can be “stormy” for salespeople and they need the skills to guide them through the emotional and intellectual ebb and flow of these strategies. One can never predict what a client or prospect is thinking or how to influence them unless they have the tools to help them be flexible in the moment.